Blue Crane B & B boasts four luxurious En-Suite bedrooms, each of them with a double bed, and one En-Suite bedroom with a single bed. The rooms offer guests total luxury and comfort with its stylish furniture and superior quality. Four of the En-Suite bathrooms have shower facilities and the other has a bath. Guests are welcome to savour the beauty of the magical garden, or relax on the patio with its peaceful surroundings. Braai facilities and secure parking is also available. 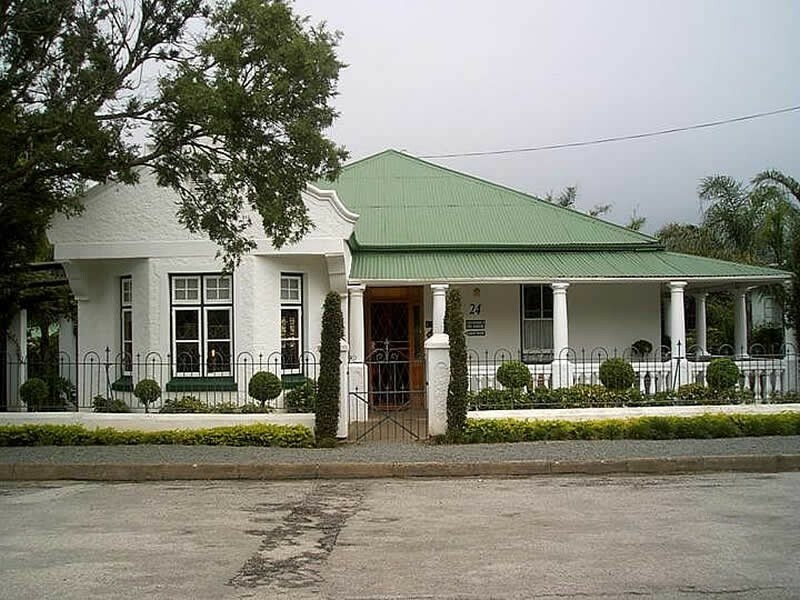 Blue Crane B & B also offers one self catering flat with En-Suite bathroom and fully equipped kitchen. It can sleep up to 4 people comfortably, having a double bed and sleeper couch. With its stylish furniture and quality linen, it offers the guest total luxury and comfort. A T.V. / Lounge area, with DSTV, also adds to the leisure. Guests are welcome to enjoy the beautiful garden and make use of the braai facilities. Breakfast can also be offered on request. Blue Crane Lodge is at number 24 on your right.